Compare prices on car hire in Bari Palese Airport from all the major brands and find the best deals. When you book through us, unlimited mileage and insurance are always included in the price given. Bari Palese Airport (BRI), also known as Karol Wojtyla Airport, located about 10 km northwest of Bari .Several bus companies provide transportation between the airport and Bari. Europcar, Auto Europe, Avis, Europcar, Hertz, Maggiore, Thrifty, Win Clean, quic and Targa interest among the car rental companies are represented at the airport. In 2009, 2,825,456 passengers visited Bari Palese Airport. 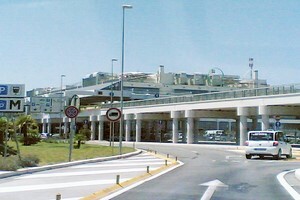 It is part of the complex Aeropuerto de Puglia, which also includes airports Brindisi, Taranto and Foggia. In recent years the airport has been through several renovation projects. Well 20 different airlines serve the airport, many of them are low cost airlines such as Ryanair. Bari Palese Airport has a good selection of shops, bars and cafes. It has an ATM, wireless internet and a VIP lounge that can be used for meetings. There are no hotels at the airport.